Niche perfumes are exclusive, elegant and original fragrances. They are the opposite of those intended for mass commerce, introducing you in a world of pure luxury. If we make a comparison with fashion, then niche perfumes are a kind of haute couture. They are produced in limited editions and can be purchased only in specialized boutiques. Niche perfume manufacturers follow old traditions, following the use of precious natural ingredients, to the detriment of the cheap synthetic ones. Therefore we prepared a section dedicated to niche fragrances, specially designed for customers with a sophisticated sense. The difference between niche perfumes and “mainstream” ones (starting from the mass ones to the selective brands) is the one from the creations of great designers and fast fashion: first ones aim at art statute, while the others have as goal to satisfy the tastes of as many potential buyers as they can. But, as you know, something or someone who wants to please everyone eventually loses its individuality. Niche perfume creators do not want to give it up, preferring pleasure (and risk) of originality. They often use ingredients, avoided by mainstream brands because of price, combining them in certain formulas appreciated personally by them or by a restricted public, experiments, that avoid banality. Niche fragrances are not being addressed to commercially mass consumption, targeting maximum 15% of potential consumers. The price starts from $110 up to $310. 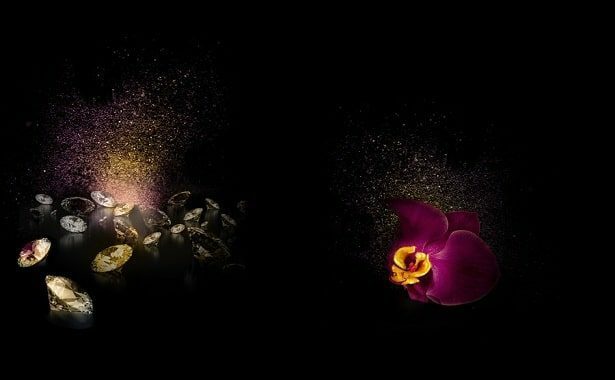 Each fragrance was born from a memory, an emotion, an intense moment of communicating with Nature. Annick Goutal ‘s secret consisted in her talent to transform emotions into perfumes. The price starts from $165 up to $185. Arquiste is a niche perfume brand founded by architect Carlos Huber noted for the thoroughness with which he prepares his evocative fragrances made from precious ingredients. His compositions teleport us back into the past, inspired from various history moments. Looking For a Niche Perfume ? How About an Expensive Watch To Go With It ? The price starts from $310 up to $215,000. In 1999 Clive Christian started his career by bringing in the Clive Christian Perfumes, but he also took over the oldest and most prestigious institution of the British House of Perfumery, The Crown Perfumery. 135 years ago, this institution, The Crown Perfumery was honored by Queen Victoria herself with the permission to use as a symbol the royal crown. Clive Christian revived the house values, formulating pure essences, sophisticated flavored equations and for this he used precious ingredients. The price starts from $165 up to $1,995. Creed is the oldest private brand in the world of perfume, whose story begins in 1760. The business was born in the UK, but moved to France at the request of Emperor Napoleon, when Creed became court perfumer. Secret ingredients and formulas of the Creed house are treasured and passed down from father to son. The price starts from $175 up to $300. ” A perfume maison has a soul and a history. All emotions give life to my dream, meaning to create fragrances that make those around me happy. “,says Francis Kurkdjian about the perfume brand that bears his name. Paris is his inspiration: the majestic illuminated monuments, the gray roofs which give a magic note and the golden spires that seem to be reaching the sky. Gray and gold nuances, and dark elements of zinc are the defining elements that are found in its bottle design. The price starts from $200 up to $790. For the lovers of niche perfumes, Xerjoff means exclusivity and luxury. Chameleon essences and jewelry-frequencies are hosted in quartz or Murano glass hand carved vials. Inspired by the forces of nature and having in composition rare and exotic ingredients, Xerjoff’s creations are unique, truly noble. The price starts from $89 up to $110. The price starts from $145 up to $350. The price starts from $112 up to $750. The perfume is a priceless accessory regardless the season or trends, but also a seduction weapon hard to question, especially if we talk about niche perfumery, where we find distinctive olfactory signatures. Should the average working Joe get this type of perfume ? You can get a nice perfume for a lot less. If you’re working hard enough for your money, you’ll surely understand why getting these types of perfumes would hurt your pocket. Our professional opinion is that you shouldn’t get this type of perfume, unless this is one of your biggest hobbies. How Much Does Treatment in a Sleep Center Cost? How Much Does a Selfie Stick Cost ?